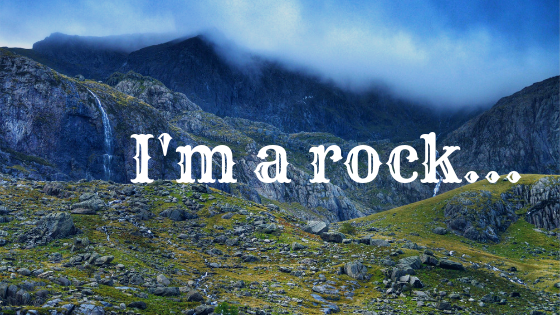 Raising a family in a Torah - I'm a rock, tumbling down a mountain! So today I wanted to tell you about our oldest son Michael, who is currently 4 years old. We, as many families, have a bedtime routine. Ours ends with my husband carrying the kids to bed. We call it throwing them into bed because my husband has fun with them and pretends to throw them into bed. Which they love! Then I go in and give them hugs and kisses in their beds. One night my husband was putting Michael into bed and as he was “falling” into bed he said I’m a rock tumbling down a mountain. He then looked up at his dad and asked …. When Moses threw the tablets down did it make the whole earth shake? WOW what an amazing thought! Moses was carrying two stone tablets that were written by Yah! This question makes a lot of sense. I myself had never thought of it like that! I love being able to hear what my children think. Sometimes its just silly and yet other times, like this, it really makes you think! The Messiah is the Word of Elohim and when He was crucified, his body was broken. He is the corner stone and the ground shook when He was broken. It would make sense that the ground would shake when Moses threw down the tablets (breaking the Words of Elohim). I know scripture doesn’t say, but it is a very interesting thought. What was so awesome was that it just came out of him. We weren’t talking about it earlier that day and he didn’t watch anything related to Moses! It’s awesome to see that when we live a life where we put Yah first, talk about Him every day, that it begins to show in our children also. We are told to keep His words in the forefronts of our minds. And to teach them to our children…to talk of them when we sit in our houses and walk by the way. When we lie down and when we rise up. It’s amazing to see that when we do these things, His words stick with our children! They then become something at the forefront of their minds! What are your thoughts? Please share in the comment section below!